Matt Hossack stands for a portrait on RIT's south turf field adjacent to the Gene Polisseni Center on Feb. 06, 2016. Matt plays defense for the RIT Men's Lacrosse team. Photograph by Kristen McNicholas. On Jan. 22 fourth year Matt Hossack, 2015 Liberty League Defensive Player of the Year, was selected 23rd in the Major League Lacrosse draft by the Denver Outlaws, joining the ranks of the country's most talented players. Needless to say, this is a pretty huge development in Matt's life. "I'm very excited to play with some of the guys I've watched forever growing up," he said. "It's going to be an awesome opportunity." Matt's lacrosse journey started a long time ago, however. In fact, Matt was just three years old when he picked up his first stick. "Normally people start when they're five," Matt explained.  "My older brother Graham was playing before I was, so of course I really wanted too also. My parents just put us in at the same time." For the next 15 years, Matt continued to hone his skills by playing as much as he possibly could. Eventually, he drew the attention of RIT's lacrosse program. "When I got a call from Coach Wilkins, I was very excited," Matt said. 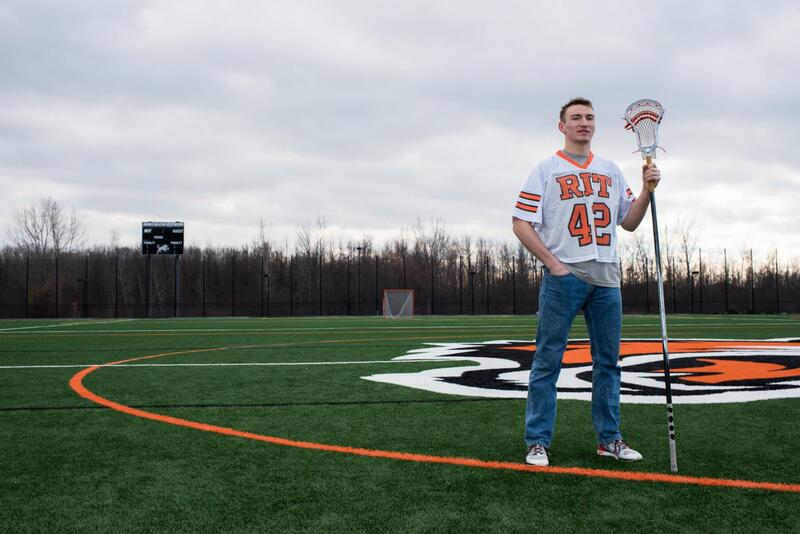 "I wanted to do engineering and lacrosse, and I knew RIT was one of the few spots where I could make that happen." For now, Matt is focused on the upcoming season in order to improve both his own skills and bolster the team's success. In terms of preparing for the MLL, he's remaining confident. "I'll try to do what I do every year: play faster, be faster, and improve statistics," he said. On top of that, this season might be one of the hardest RIT has ever faced. "According to the pre-season polls, we will be playing 10 of the top 20 ranked teams -- more than we've played any other year," Matt continued. "I'm thinking this is the year," he said confidently, "I think we have the drive to make it all the way to the championship." What makes this particular season special is to see Matt in action. Support our #3 men's lacrosse team at their first home game against #20 Montclair State at 1 pm, March 5th on the RIT Turf Field. Right off the bat, The Tigers will be facing some very steep competition as they play #7 Stevenson on February 27th, #8 Cortland on March 9th, and #2 Lynchburg College on March 18th. These first few games will provide a challenging test for the team, and will be crucial in shaping up the Tigers' playoff hopes, so come out and witness what could very well be the greatest RIT men's lacrosse season yet.